Mr. Nuss is President of Hotel Operations and leads the company’s overall operations and business strategy. 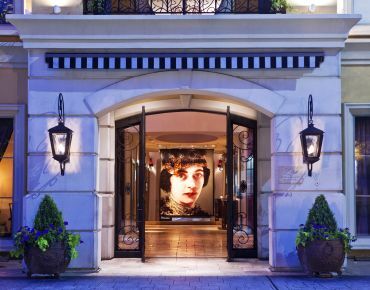 Under his direction, the company has generated record-setting revenues, retooled key executive functions and streamlined its organization chart as well as reprogrammed the configuration of both Hotel ZaZas. As a result, the brand has enjoyed unprecedented growth in RevPAR, food and beverage performance, earnings, online reputation as well as guest and associate satisfaction under his leadership. Prior to Z Resorts, Matthew was a founding Principal and Executive Vice President of Valencia Group where he was integral to the market-leading positioning of Hotel Valencia and the evolution of the Sorella brand. Before Valencia, he enjoyed a successful 10 year career with Omni Hotels where he was named General Manager of the Year and earned the reputation as a turnaround expert for the company in such flagship hotels as the Omni Berkshire Place in midtown Manhattan, the Omni Parker House in Boston, the Omni CNN Center in Atlanta and the Omni Tucson National Resort & Spa. Matthew has a bachelor’s degree in Chemistry from the University of Kansas and attended graduate business school at the University of Nebraska. Tom DiBlasi is the Vice President of Sales and Marketing. Mr. DiBlasi started his 26 year hospitality career with Ritz-Carlton and then moved to Chicago where he worked for 15 years for various hotel groups. During this time, Mr. DiBlasi enjoyed considerable success in the sales discipline in an array of luxury and independent hotels. He is a graduate of the University of Missouri-St. Louis where he earned a bachelor’s degree in English. Stephanie Herrejon is the Vice President of Human Resources and leads all facets of associate relations including recruitment and retention, employee relations, training, compensation, regulatory compliance and benefit programs. Previously, Ms. Herrejon enjoyed a successful 10 year career with Starwood Hotels and Resorts where she was Director of Human Resources and part of the regional training team across multiple Starwood brands. Jacob comes to Hotel ZaZa with a resume that includes Asti Trattoria and Juliet Italian Kitchen in Austin Texas , as well multiple honors, including recognition by “Best Chefs America,.” He is a two time Lamb Jam Champion and Mr. Weaver has cooked at the prestigious James Beard House. 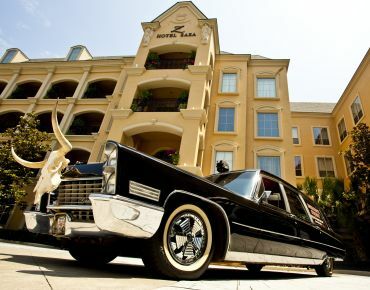 Weaver brings a wealth of experience, creativity and solution-driven leadership to Hotel ZaZa. 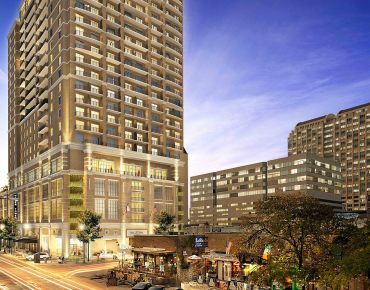 He will oversee the kitchen, front of house and act as lead chef for ZaZa’s Austin location opening Spring 2019. Joining Z Resorts in December of 2015 as Complex Director of Hotel ZaZa’s notable ZaSpa’s, Gianni Rivera brings over 18 years of experience in the hospitality industry to the company’s management team. Previously overseeing and directing the daily operations of esteemed spa resorts such as Omni Hotels Mokara Spa, Marenas Resort & Spa, The Ritz Carlton Bal Harbour and Hilton Hotel’s famed spa at the Conrad Miami – Rivera certainly has a keen eye for details, distinction and the ability to deliver a top-tier guest experience. 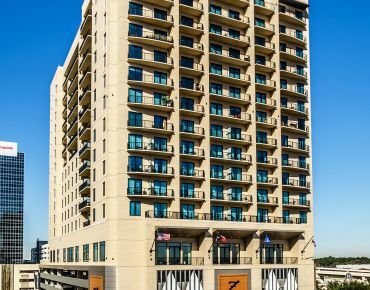 Travis Drake, the Corporate Director of Web, e-Commerce and Graphics, leads Hotel ZaZa’s creative and design efforts while focusing on the growth and maintenance of a cohesive brand. 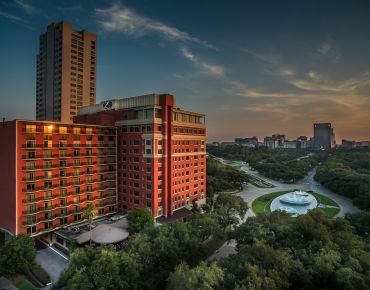 When arriving at Hotel ZaZa in 2010, Mr. Drake led a hotel wide re-branding program and centralized ZaZa’s departmental needs for promotional, e-marketing, social media and internally-branded collateral. Travis also oversees website design and content management, as well as the hotel’s e-marketing platform. Travis has a bachelor’s degree in Communications Design from Texas State University and has been working within the creative field since 2004 focusing on graphic design, brand building and marketing. Mr. Homsey is President of Brand and Development and oversees the brand and future developments for the Hotel ZaZa and Z Resorts Management LLC. As former Vice President/Project Manager from 2001-2006, he managed development for Hotel ZaZa Dallas, The Metropolitan Club (ZaZa Dallas Condominiums) and Hotel ZaZa Houston. In 2007, he was named President of Z Resorts Management LLC, overseeing operations and new development opportunities for the company. In order to grow the portfolio, he currently focuses his efforts on the brand and future developments. Benji has a bachelor’s degree in Finance with an emphasis in Real Estate from Texas Christian University. As Chief Financial Officer, Mr. Mennella leads the finance team of Z Resorts to include accounting, systems and controls, banking and cash management, internal and external audit processes, risk management and information technology. He ensures the daily integrity of the reporting function for the company. Vincent brings a wealth of experience to the team, most recently Vice President Finance with Benchmark Hospitality International, Division Vice President Finance with Sage Hospitality Resources and Vice President-Regional Controller at Destination Hotels & Resorts. In addition, he was Vice President of Hospitality Accounting with Wyndham International. Vincent holds a bachelor’s degree in Economics and Business Management from Northeastern Illinois University and a masters of Business Administration from Illinois Institute of Technology.